In America it is common that when you talk to others about your children, you tell them that your pride and joy are this wonderful and that fantastic. So, when I first met Mike some 25 years ago and chatted about his family, he volunteered to show me a picture of his pride and joy. I was expecting to see a picture of his two lovely daughters. 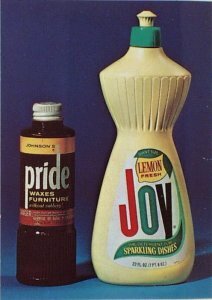 Instead he pulled out from his wallet a picture of the cleaning products “Pride” and “Joy.” Mike has his sense of humour. I still have not seen a picture of the young Valente’s; however, the words “pride” and “joy” have forever inscribed into my brain when I think about Mike Valente. Mike is a proud clinician and researcher. He prides himself in his integrity, his attention to details, and his dedication to help shape the future of our profession. His joy is in seeing the fruits of his dedication being enjoyed by clinicians both near and afar. Mike and I entered into the hearing aid field when nonlinear and digital hearing aids were first introduced. The profession knew little about such technology. Someone needed to step up, learn the new knowledge, and integrate it into the current clinical practice. Mike was one of those pioneers who answered the call. Along with a group of other pioneering audiologists, they formed the IHAFF (Independent Hearing Aid Fitting Forum) where the group tackled the fitting of nonlinear hearing aids. Twenty some years ago also marked the adaptation of digital technology into hearing aids. This has blossomed into the enhancement of many hearing aid features such as noise reduction, adaptive directional microphones, and feedback management to name a few. It was the new wild, wild west. Clinicians were looking to independent third-party researchers who can evaluate these new features and report them in an unbiased manner. Because Mike was (and still is) highly respected within the profession and he was able to work well with manufacturers (and vice versa), he was sought after by many manufacturers of hearing healthcare products including hearing aids, battery, and implant devices. Mike did not disappoint in any of these collaborations. A habit of his is that for every study, he demanded a detailed protocol so he and his research assistant could go over the required steps to ensure the completeness of the protocol and the meaningfulness of the study. When there were missing steps or misleading steps, he raised his concerns until a mutually agreed upon protocol was reached. Because of that, the outcomes of the study were mostly meaningful to both parties. One can always expect Mike to report what he found. One can also expect him to not endorse any product publicly even though the results may have been extremely positive. Likewise, he reported any negative results that he discovered through the study. It is perhaps this unbiased neutrality that his findings were accepted by the professionals without questions. It is also this neutrality that he is probably the first “go-to” guy for manufacturers who consider conducting outcome studies on products. Mike is one of the driving forces behind the evidence-based practice movement in audiology. This is clear from his reporting of study results in an unbiased manner in peer-review and trade journals. In addition, he presented these results at countless national and international meetings, edited several books and wrote many book chapters on hearing aid technology, evidence-based practice, hearing aid verification including the use of real ear measurement. More recently, he published a case book where audiologists can learn from cases shared from other clinician’s experiences. Evidence-based practice is a household word now thanks to Mike. He should be very proud of what he stands for, and what he has achieved to raise the standards in audiology. Mike enjoys seeing other people succeed, especially young professionals. He enjoys seeing a stronger profession. For that, Mike spent endless hours helping the American Academy of Audiology (AAA) develop practice guidelines on hearing aids and adult rehabilitation. He also spends endless hours for the thankless job as the amplification section editor for the journal of the Academy (JAAA). Those who have submitted a hearing aid paper to JAAA know Mike is very particular and detailed on his editorial comments. He asks for the smallest detail in the reporting, and he questions every word in the manuscript. However, he is fair in his recommendation (on acceptance and rejection of paper). In my earlier years of submitting manuscripts to JAAA, I can always expect Mike’s review to be full of red ink (he likes to use red ink) along with pages and pages of additional comments. I was not proud of receiving such “depressing” reviews; but I later learned that it is a reflection that the reviewer cares. Otherwise, s/he can just reject (or accept) the manuscript without any comments. For that I am truly grateful to Mike (and to other reviewers who took the same level of dedication in reviewing my submissions) for the painstaking task he took to comment on my submissions (and others to JAAA) over the years. I would not have grown to where I am, although I know I still have a long way to go from being one tenth as good as Mike. Mike Valente, a proud and joyous man whom I am lucky to call a teacher and a friend. Francis Kuk received his PhD in audiology from the University of Iowa in 1986. He has assumed staff and faculty positions at the University of Iowa and University of Illinois-Chicago respectively. He is currently the VP of clinical research at Widex. He has written and presented extensively in the area of hearing aid technology and fittings. He is also the editorial consultants for various professional journals.